In a sea of more than 800 Express Employment Professionals franchise locations, Grand Rapids, Michigan, office owner Janis Petrini's innovation and ability to adapt to the current business climate consistently raises the bar. Happy in Their Work: A survey finds that blue-collar workers aren’t as glum as the stereotype. Just three short years ago, James Michael walked into an Express Employment Professionals office with one goal-to regain custody of his son. 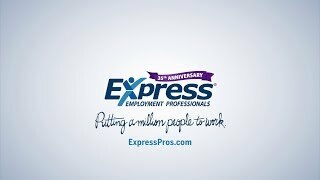 Express Employment Professionals' 35th year of business proved to be one of shattered records, innovative technology and topping lists. 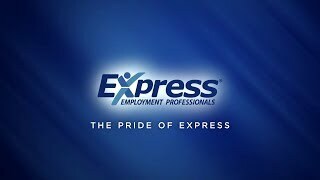 Celebrating its 35th year of business, leading staffing company Express Employment Professionals continues to smash sales records, reporting $1.71 billion in sales in the first half of 2018, 11 percent ahead of the same period in 2017. America Employed is a series of reports that explore the state of employment in America today. Each edition will focus on a different aspect of who gets hired in America and why. Canada Employed is a series of reports that explore the state of employment in Canada today. Each edition will focus on a different aspect of who gets hired in Canada and why.